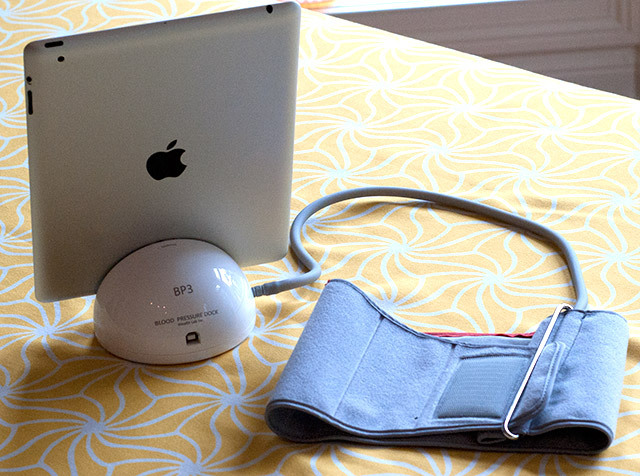 Blood pressure and heartbeat with iOS devices capture. We are all not younger and with the (scientifically proven) stress in the workplace, probably with each of us already the blood pressure “high” went up. 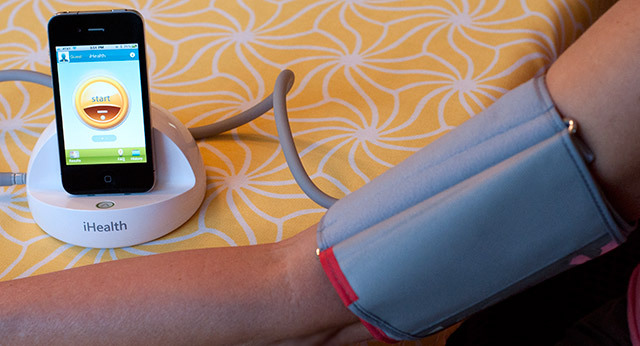 Before it becomes a permanent illness, one should regularly check its blood pressure or measure itself. So what would be better to combine his “Apple addiction” with the necessary? Sure you could also go to the nearest pharmacy and buy a blood pressure meter. 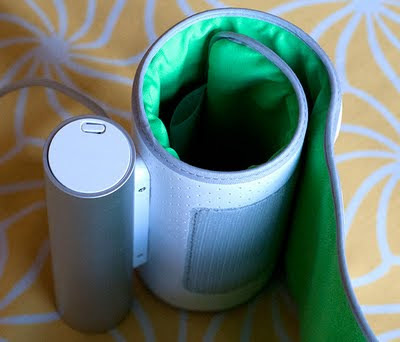 There are simple devices already from 20 euros to have, those with storage function from 50 euros. 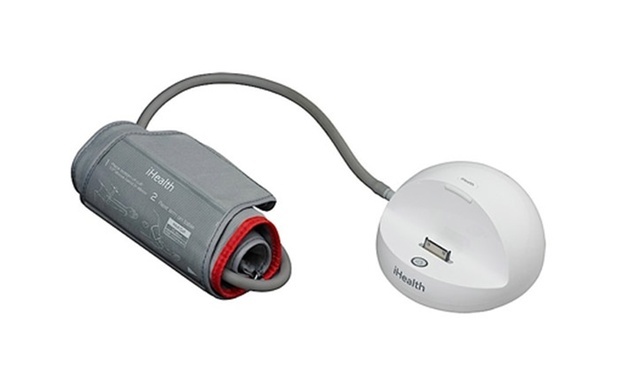 The iHealt BP3 is available for almost 100 US dollars (currently approx. 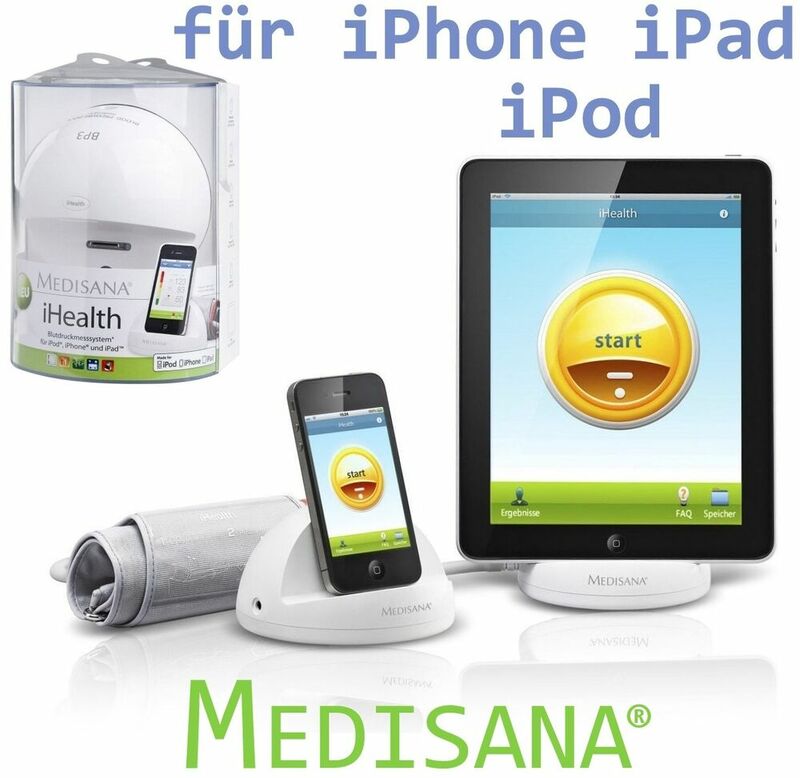 72 Euro) , including app for iPhone, iPod touch and iPad mobile accessories. Available since 2010, since mid-February is also delivered to Europe (unfortunately not yet have Cyperport), just the right time for a test. Blood pressure is one of these diseases, which is only noticed when it is already too late and with a favorable stroke, heart attack, kidney, heart and vascular damage, one should rather start with a regular check rather than later. It is recommended once a year, but only once every two years by the health insurance funds within the framework of the screening program. In the case of timely detection, each person has enough time to change his / her living habits and thus influence the course of the disease positively. In the blood pressure measurement, two values ​​are measured, the systolic and the diastolic pressure, the former when the heart presses the blood into the blood circulation and the second when it fills again.A detailed description can be found in the linked Wikipedia articles, I am after all no doctor.After the measurement, the determined pressures are obtained as a numerical value for both values, which leads to a look into the table . On the other hand, it is easier to see the WHOdiagram integrated into the app , in which the current measurement is entered as a pin. The BP3 is delivered in a large plastic box containing the arm sleeve, a USB cable, the warranty registration and a short manual. 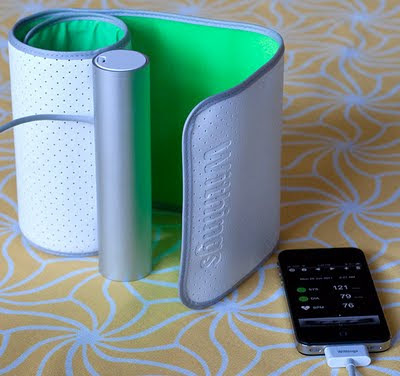 Before the first use, the internal battery (400 mAh) should be charged to guarantee a smooth function. 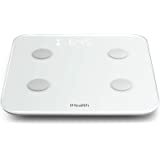 Likewise, the iOS device used for the measurement should be set to flight mode beforehand in order to avoid any interference from WLAN, GPRS and Bluetooth. Otherwise, unfavorable conditions can be seen in the pulse diagram. The dock itself has a diameter of 115 mm and a height of 67 mm and is therefore easy to transport. 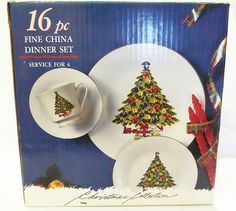 Best in the original packaging, however, is not just a decoration. 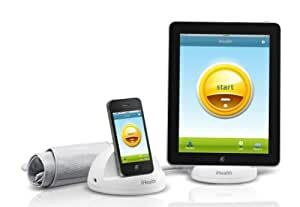 The connected iOS device is charged via the BP3 dock, if this is connected via a USB cable to a power source (USB power supply or computer), but it is not suitable for synchronization.Compatible is the device according to the manufacturer with iPod touch, iPhone and iPad with iOS version 3 or later. 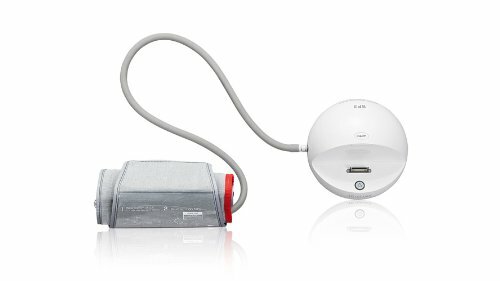 The device has been designed according to various certificates / standards which define the operational safety for users and the necessary accuracy: IEC , EN and ANSI / AAMI , FCC .It has also been certified by the European Society of Hypertension and has been tested for accuracy. 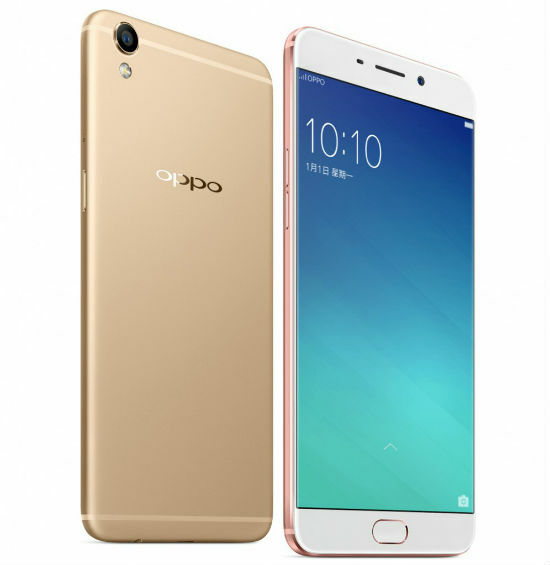 A CE certification is according to the manufacturer also for the device before, the CE mark is however with the device delivered me not yet printed. for the measurement of blood pressure over the Oscillometry based method (Wikipedia: “It is recognized that caused by the blood flow in the arteries vibrations.”). 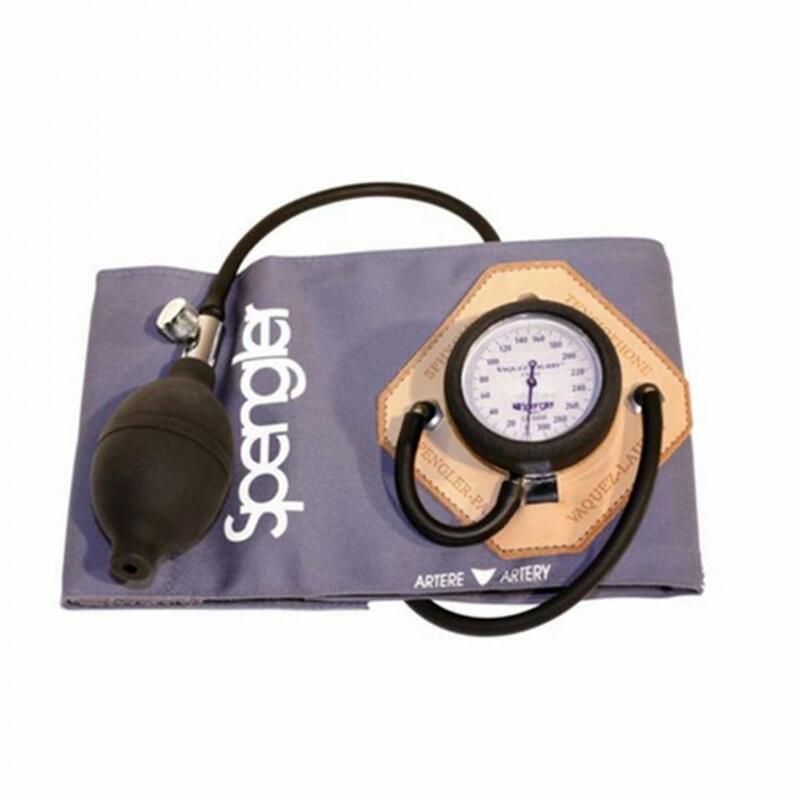 The blood pressure is measured in mmHG (torr) , the cuff allows a range of 0-295mmHg with an accuracy of±3mmHg, the pulse rate can be measured in a range of 40-180 beats/minute, with an accuracy of ± 5% , The cuff is connected to the dock via a 65 cm long rubber hose and is suitable for an arm circumference between 22-30 cm. According to the print, it is a cuff for adults, but other sizes are currently not offered. 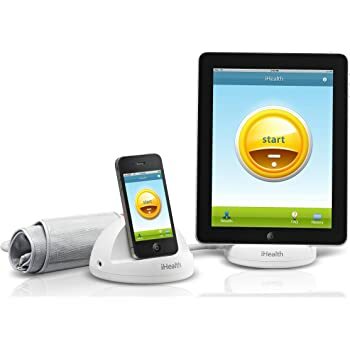 The app (version 1.1.3) required to use the BP3 is available free of charge in the AppStore and works both on the iPhone, iPod touch and on the iPad. Currently only in English, this will surely deter some prospective customers. 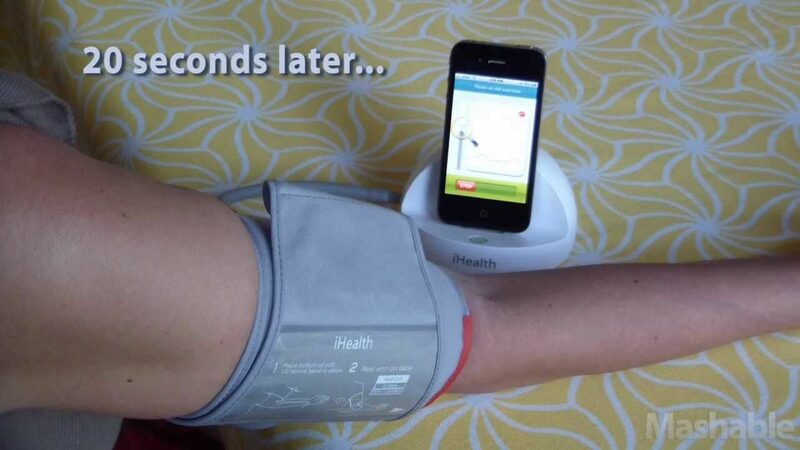 But on the one hand, one should not only rely on the app’s notices, but also the relevant values ​​(systolic and diastolic blood pressure, pulse) – even without English knowledge. In order to interpret these correctly, in any case further literature and in case of need a visit to the doctor is necessary. For example, the book “Bluthochdruck” by Stiftung Warentest (ISBN 978-3-86851-117-8) is recommended.Unfortunately this is only available in paper form and not as eBook/PDF for mobile use. It explains the background to hypertension, provides advice and tips to reduce blood pressure without medication, but also discusses some drugs used to lower blood pressure. In addition to the current measurement (see below), all previous results can be displayed. In the history, there is a single line for each line, which displays the status according to the WHO definition (red-orange-yellow-green), so that one directly sees whether one had to go through too high blood pressure or whether it was only Individual outliers. 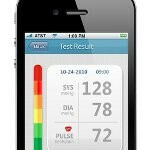 In addition, the respective values ​​for the blood pressure, the pulse and the date / time of the measurement are located. The display can be sorted by date or WHO classification. With a fingertip one reaches the large display of the values, as one knows from the measurement. Wiping upwards, the WHO diagram appears, and the Pulc curve still appears. To the right or left, you can switch between different measurements. 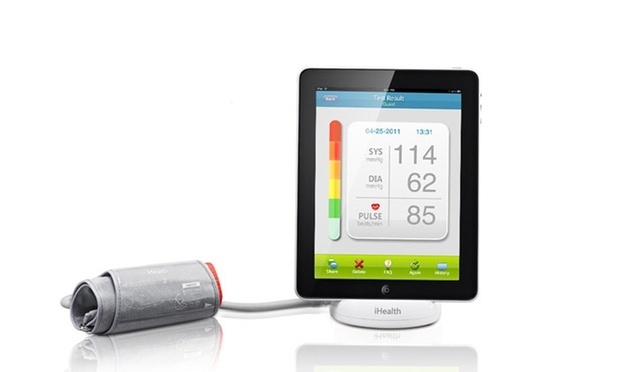 However, the values ​​can be compared better in the graph view – the display range can be limited by the date of measurement, the blood pressure values ​​and / or the number of measurements. In the AVG area, the average value for a freely selectable range can be determined. The Share function allows sending the current measurement or all selected ones to one or more email recipients. A distribution via twitter and facebook is in preparation – as you can see again that the Americans have a different concept of privacy. 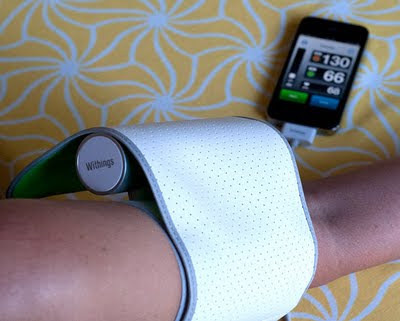 There is also a FAQ section (frequently asked questions) which answers questions about blood pressure, hypertension and iHealt BP3. However, like the entire app only in English.Therefore also the above reference to further literature. The settings are somewhat hidden behind the (i) on the home page. This can be used to specify one or more email addresses to which the measurement results are to be sent and whether a maximum of 999 or 9999 measurement results are to be stored. In the same area you will find the instructions for handling the BP3: assembly, measurement, battery charging, accuracy and the usual info area. The measurement itself is not a big challenge. 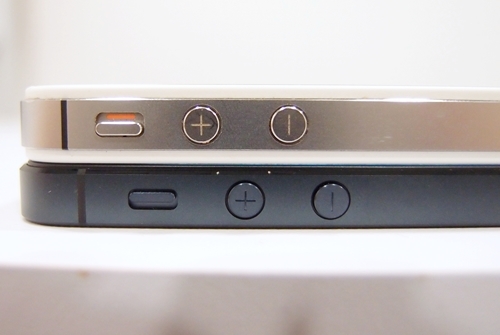 First, the cuff at the upper arm should be placed at the heart level and the iOS device should be inserted into the dock. After calling the app, a big start button can be seen and activated. Subsequently, the measurement is performed as shown in the embedded video and the results are displayed on the screen. In the main screen, you can see the WHO traffic lights – the colors allow you to directly assess the blood pressure, the values ​​for the systolic and diastolic blood pressure on the right, and the measured pulse below. Each of these elements can be tapped to get an explanation. If you wipe the main screen upwards, a chart with WHO classification for the individual areas (normal blood pressure, high blood pressure, etc.) and a marker for the current measurement is displayed. Another sweep below is the pulse curve of the current measurement. In order to get as good and comparable results as possible, you should first relax for a few minutes, always carry out the measurement at the same place and at the same time. In order to avoid disturbances of the measurement, the iOS device should be placed in the flight mode before the measurement. The measurement can be interrupted at any time-stop in the app or by pressing the button on the device. 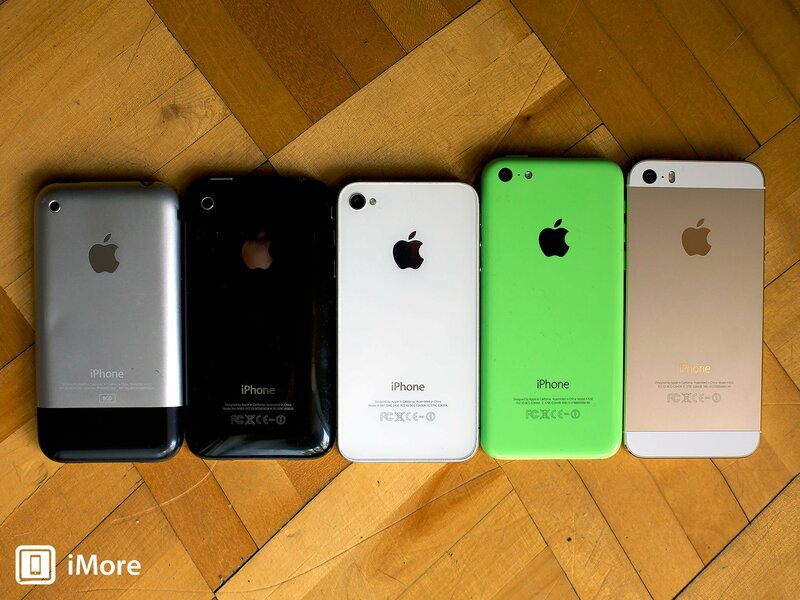 If you have your iPhone, iPod touch or iPad in a case, this fits only in the rarest cases in the dock. If the removal of the cover is too expensive for each measurement, you should look for a dock extension cable. A one meter long version is offered by DeLock , for example. This does not look so nice, but is very practical. Through the app for iOS devices, a very simple handling is made possible for the measurement itself as well as the evaluation. 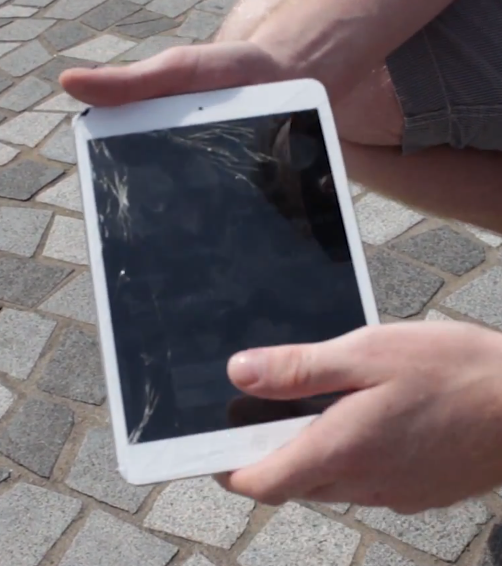 Users of other smartphones or tablets are excluded. 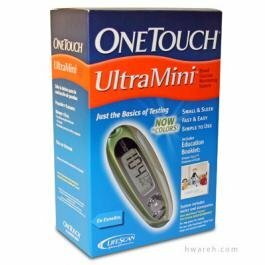 Due to the measurement on the upper arm, the device is more expensive, but more accurate than the measurement on the wrist. The app itself offers a lot of potential for improvement in the future-for example, support for multiple patients, multilingualism and export to a usable format. 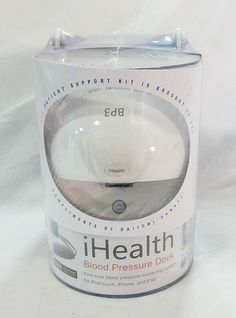 For people with hypertension and existing iOS device is worth the purchase rather than for people who just want to check their values ​​regularly. 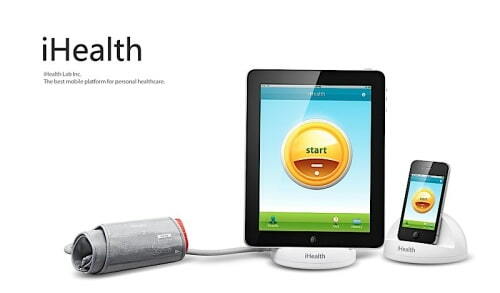 Whether the health insurance companies take over the cost of the device is not known to me. My device was delivered directly from China within a few days, since there is still no distributor for Europe. 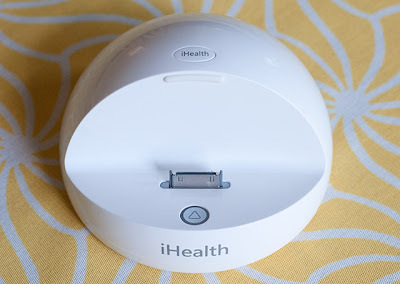 On request, I would like to write a second article on health as there are other interesting apps.Please use the comment function here or on facebook. Tu iDevice ahora “le hace al cardiólogo”.